Can you tell us about this performance of the classic Dracula? The performance begins with the iconic set-up of Jonathan Harker arriving at the magnificent Castle of the infamous Count Dracula in order to finalise the sale of his new Estate in London. From there Jonathan’s trip takes a downward spiral as he begins to fear for both himself and everything he holds dear, including his fiancé Mina Murray. The performance is an encapsulation of the Gothic horror from Bram Stoker’s novel. The first three nights are promenade performances, with the last night being a seated performance, all of which use the Castle’s foreboding atmosphere to its fullest potential. The promenade performances will have the audience follow the action throughout the Castle while the seated performance will have all the action take place in the grand main hall. The show is less about the modern day idea of horror and is more akin to the classic idea of the genre; creating a feeling of unease for anyone in the audience and keeping them on edge throughout the story. In many ways this keeps it closer to the original novel than many other adaptations, maintaining the concept of atmospheric horror over outright scares. When we had our first meeting with the Castle and the potential for us to put on a performance there became more possible we immediately started to navigate to something horror orientated. Due to the creepy atmosphere the Castle naturally possesses it felt like a perfect direction to go and when we started to narrow it down to what would be best performed there it wasn’t long before Dracula came to mind. The idea of telling Dracula’s story had always been a desire of ours and the Castle seemed like the perfect place to do it. With Dracula’s Castle being very present in the original novel, the chance to let the audience experience that first hand was a wonderful opportunity. Your previous performances at Newcastle Castle sold-out, how did they go for you? Extremely well. All of the actors did absolutely fantastically with each of them showcasing what made them such wonderful fits for their parts. The story flowed wonderfully through the Castle and the things we put in place to create the sense of foreboding and Gothic horror for the audience worked like a charm. There were several times where the audience, and even some of the actors, were left stunned by how harrowing the performance had made the Castle, making them feel as if there was something waiting for them around every corner. We had some wonderful feedback that put emphasis on both the Gothic atmosphere that surrounded the performance as well as the fantastic performances from our actors. Dracula managed to be the perfect mixture of charmingly enticing yet subtly menacing while Mina was the perfect foil to his affection, pitying him yet remaining strong. The Castle did truly become Dracula’s home for each night and the audience definitely felt it; which we class as a huge success. What’s it like performing it in an actual castle? Telling Dracula’s story in an actual Castle is absolutely fantastic. Being able to explore how we can best use the atmosphere of the Castle along with the story brings a whole new layer to what we can do. The layout of the Castle allows for some great opportunities to really experiment with ways of creating an atmospheric experience, especially with the use of sound throughout the halls. Being able to allow sound to echo and carry throughout the entire Castle is something we had a lot of fun utilising, as well as the many floors within. With the layout of the Castle being what it is, the galleries overlooking the main hall provided the perfect chance to create sounds that would carry themselves directly over the audience and appear as is they were coming from everywhere within the walls. Overall the Castle was a perfect location to tell the story of Dracula and helped greatly in the building of the atmosphere that would fill the performance. How did Broken Mask start? Broken Mask was founded in 2017 with our Debut performance of No More Room In Hell, an adaptation of George A Romero’s Night Of The Living Dead. I’ve always had a passion for theatre and had the dream of setting up my own theatre company in the future, but it wasn’t until I had created No More Room In Hell for a university project that I realized that I wanted to start the company sooner rather than later. After that we took No More Room In Hell to the Arts Center Washington who were amazingly supportive of our first play and the company grew from there. What are the challenges of this being a promenade piece? The first challenge with a promenade piece such as this one was deciding which rooms would and wouldn’t be accessible with an audience of 30. The performance had to be made with the knowledge that some rooms and corridors were simply too small and some of the audiences view of the actors would be obscured if we didn’t take care choosing our locations. Along with this is the actors within the performance making sure that the audience has the best view of them possible since there is no set seating and the audiences position between scenes is ever changing. Making sure that entrances and exits are kept clear for actors to enter and leave the stage is another challenge, as well as making sure that, should one of them be blocked off, the immersion is not broken for the audience. Overall, the basics of each scene, deciding which way actors enter and exit, the placing of the audience, and so on, simply required more thought than usual but it was easily made up for by the quality of the show. How did you go about casting this play? Some of the actors who joined the production were people that we had worked with before on previous performances and were a perfect fit for the role they ended up playing. The actress playing Mina for example had to portray the idea of a strong woman of the time, bound by the gender roles of the late 1800’s but not conforming to them in times of crisis, playing these two aspects perfectly. The actor portraying Van Helsing by comparison carried an equal amount of innocence as well as power, which fit the character wonderfully. For other roles we put out casting calls and held auditions for anyone interested in the part. The leading role of Dracula was possibly the hardest to cast with several people interested in playing the undead Count. After auditions we managed to narrow it down to the perfect actor who incorporated all the aspects that made the Count such an imposing and menacing presence. What changes have you made to the original novel? The most apparent change to the original novel is the decision to move all the action to within Dracula’s Castle. Whereas in the novel Dracula makes the move down the London and much of the action takes place there, we decided it best to move that action to within the halls of Dracula’s Castle to best tell the story. This allows for the audience to be immersed in where they are throughout the entire performance as the action is wherever they are at the time. While this change affects a large portion of the second act there were other smaller changes made as well, such as the shortening of Jonathan Harker’s time at the Castle and the exclusion of some of the characters present in the novel. All of these changes were made to make the story better suit the performance, creating a tighter narrative that would flow better for an audience and allow them to be more immersed. What was integral to keep the same? The most integral things to keep the same mostly revolved around characters and their relationships to each-other. Dracula’s growing fascination with Jonathan and later Mina, Van Helsing’s want to see Count Dracula stopped, and so forth. Along with that was the slow build of unease and dread that Jonathan starts to feel while inside the Castle, something that we kept the same as in the books. Dracula’s underlying menace is something else we kept the same, with him seeming quite charming and likeable on the surface but with something always lurking beneath that persona. The only other thing we saw as something we had to keep the same was how the novel handled its horror, keeping many things shrouded in mystery that only served to make those things all the more unnerving. The original novel played on the idea that sometimes what you don’t see is scarier than what you do and that is something we took very much to heart in our performance. What are you looking forward to most about the next run? The thing we’re looking forward to most is probably the chance to use what we know worked most effectively from our last run and and changing whatever didn’t. The opportunity to use the feedback from our previous run and fine tune the performance to incorporate both the best aspects of what came before as well as exciting new changes to make the overall experience the best it can be for the audience is fantastic. The performance was extremely well received last time and a second, improved run can only be better. Thankfully most of the original cast are returning with he same knowledge of what worked best the first time round and each of them know how to utilise those things to their fullest potential. Along with them we have some new faces in the production that are going to be a wonderful addition to, what is looking to be, a phenomenal second run. We have lots of exciting upcoming projects in the future that we think the people are going to enjoy. The first is a potential return to the Castle to perform our adaptation of George A. Romero’s Night Of The Living Dead titled No More Room In Hell, the first play our company performed. The play stays true to the the classic zombie horror from the 60’s while still adding in some new and exciting twists and turns within the story that audiences won’t have seen before. Then we have a wonderful opportunity to perform in Victoria Tunnel which is a perfect venue for anything atmospheric. The piece is looking to be a collection of short horror stories that use the venue of the tunnel to it’s fullest potential, bringing the audience in to a nightmarish setting that will both thoroughly entertain and frighten them. 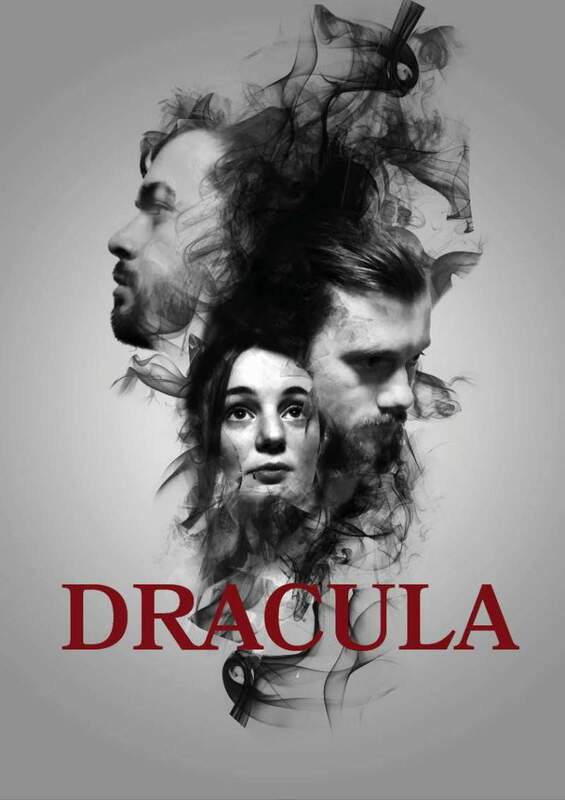 Dracula is at Newcastle Castle from Wednesday 3rd until Saturday 6th October.